Friday night at Perris (Calif.) Auto Speedway on night two of the "Oval Nationals"
Perris, California.........Following his career-best third-place finish the previous night, Brody Roa stated that, just a year and a half ago, he would've been laughing had you told him he was going to be on the podium at the "Oval Nationals." One night later, the question had to be asked. Who's laughing now? "I'm still laughing, just for a different reason," Roa exclaimed. "This is, by far, the biggest one. To do it at Perris, a track I grew up at and have always wanted to win at, and to do it during 'Oval Nationals' weekend, even if it's on a prelim night, it's against all the same guys we're running against tomorrow." The Garden Grove, California native led all 30 laps Friday night to capture his first career USAC AMSOIL National Sprint Car feature victory on night two of the Budweiser "Oval Nationals" presented by All Coast Construction. In doing so, he became the first driver to break into the win column for the first time in his career during the 2017 season, the latest in the year the series has had a first-time winner emerge. An all CRA front row held down the front row when the green flag waved for the start of the 30-lap feature in memory of Evelyn Pratt. Roa wasn't content to bide his time and fall into line. He went on the attack, first sliding the now six-time CRA champ Damion Gardner for the advantage in turn one. Gardner quickly countered underneath Roa off turn two to retake the lead momentarily as Roa reached into his back pocket, pulled out the slingshot, and aimed his BR Performance/HD Industries - Burris Racing/Maxim/Shaver Chevy to the bottom of three before sliding back into the top spot. By the fifth lap, Roa ran the fastest lap of the race on his way to constructing a half-straightaway lead over new second-place combatant Chad Boespflug. Roa's lead continued to grow ever larger to three-quarters of a straightaway when, on lap 13, Logan Williams climbed the turn two wall before coming back to earth on all four wheels to bring out the race's first caution. On the restart with ten laps remaining, it became a battle between the green of Roa and the Mean Green of Boespflug. On prior restarts, Boespflug tested the waters with attempted sliders tossed at Roa to no avail as Roa kept his right foot glued to the throttle and powered away on the razor's edge of a cushion. "On that first restart, I got a good enough start to where Chad showed me a nose, but he could never get there," Roa recalled. "I just kept trying to do the same thing over-and-over again. I knew our car had good forward bite and I could get down to turn one quickly. I just had to get to the center quick enough to where they couldn't slide me." "I put it on the cushion getting into turn one on the restarts," Roa continued. "I think I had my left eye closed. If a slider was coming, I wasn't going to lift. I was going to drive around it. I didn't want to see it coming and screw up all my momentum. I tried not to look down the whole race. I just tried to keep my eye on my line and running the cushion around it. It was tough tonight, especially at the end, when it started taking rubber, I think. It started getting a little left rear tight on the cushion. A couple times off turn four, I jumped over it and I was just waiting for it coming down into one and it never happened." 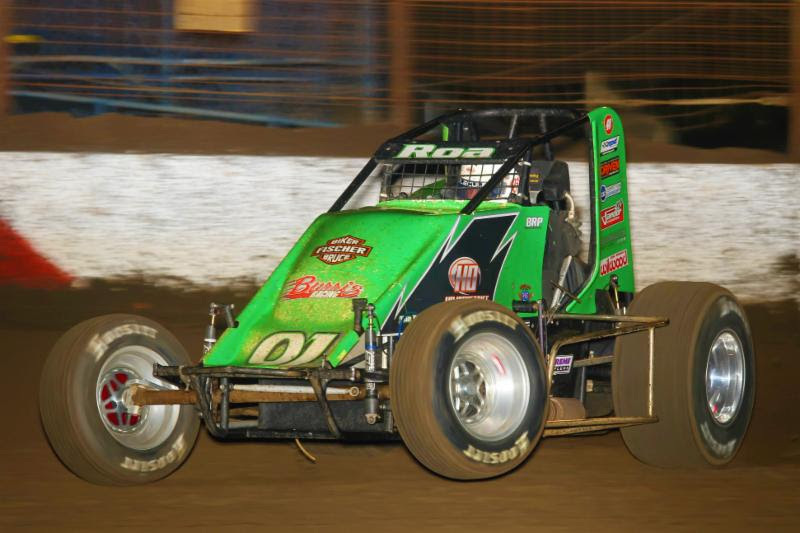 Boespflug's Timehop revealed that it had been one year to the day since he scored an "Oval Nationals" prelim victory. On this night, it appeared that a repeat performance could be in the cards for Boespflug if there was any slip-up that Roa endured. On the 21st lap, that slip-up occurred, but, instead, it was Boespflug who became entangled in the ensuing web of misfortune. "It was about six inches of solid dirt against the K-Rail. It wasn't very forgiving," Roa noted. "I could drive to it and try to connect the dots. I would get in, drive it to the next point and keep the car rolling somewhat straight around it, but on the throttle enough that it wouldn't get tight. I got the thing rolling straight down the straightaway and I knew we had good forward bite even if I drove off it, which I started doing a little bit in turn two toward the end of the race. Turning down off and just getting it rolling straight down the hill, I just gave the wall a little kiss halfway down the back straightaway to get it to stop sliding and get into three. I never saw a nose. And honestly, I wasn't even looking for the nose. We were going to win it or wear it tonight." Roa wore leftover remnants of white wall dust, but was no worse for the wear as he was in a class of his own for 30-straight laps. Even Thomas, arguably the most consistently fast driver of late, couldn't do much with Roa on the final restart. 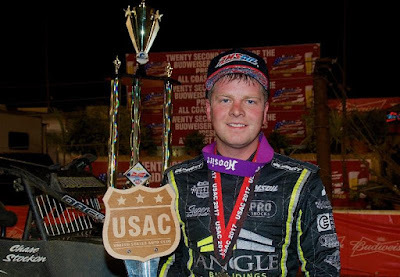 Roa was downright surgical down the stretch as he stitched this deal up on his way to what would also be the third USAC/CRA Sprint Car win of his career and first at Perris ahead of Thomas, Windom, Grant and Ballou. Roa's performance over the two preliminary nights locked him into a guaranteed spot in Saturday's A-Main along with Windom, Leary, Grant, Stockon and Thomas. Though there was a big cause for celebration in the wee hours of Friday night/Saturday morning, Roa had plans to get some rest and be fresh for the following day with his mind set on the biggest prize - Saturday night's $25,000-to-win finale. "It's going to be tough, but you have to get some sleep," Roa acknowledges. "But this isn't like a Saturday night win at a normal show. You have to put your head back down 14 hours from now and get after it again. We'll get up in the morning, service the car and go through it. It does take a little bit of stress off tomorrow being locked in. It's a big weekend. The best of the best come out here and bring their A-game, but we brought ours too." Cullman, Alabama's Thomas was the high-point man for the weekend after finishing second Friday night in his KT Motorsports/Jeff's Jam-It-In Storage - Abreu Vineyards/DRC/Speedway Chevy. Despite the performance, he was not able to gain much ground in the race for the USAC National Sprint Car title with Windom and Grant finishing directly behind him in the running order. Now trailing by 67 points entering the final race and the reality of a 2017 USAC National championship appears to have dissipated. Windom, of Canton, Illinois, and Grant came into the night's feature separated by just nine markers. With every position on the track worthier than gold at this moment, the fight for third came down to the final corner between the two with Windom besting Grant by a half-car length - and the extra three points - at the line in his Baldwin Brothers Racing/Fox Paving - AMSOIL/DRC/Claxton Mopar. Stockton Reels Off 2nd Straight Win On Night 1 Of "Oval Nationals"
Perris, California.........It's almost a shame the racing season is nearing its end. After all, Chase Stockon's season feels like it's just beginning. After waiting more than 15 months to get his ninth career USAC AMSOIL National Sprint Car victory last Saturday night at Arizona Speedway, the Fort Branch, Indiana driver had to wait just five more nights to get his 10th on night one of the Budweiser "Oval Nationals" presented by All Coast Construction at Perris Auto Speedway, tying him with Tony Stewart for 46th on the series' career win list. 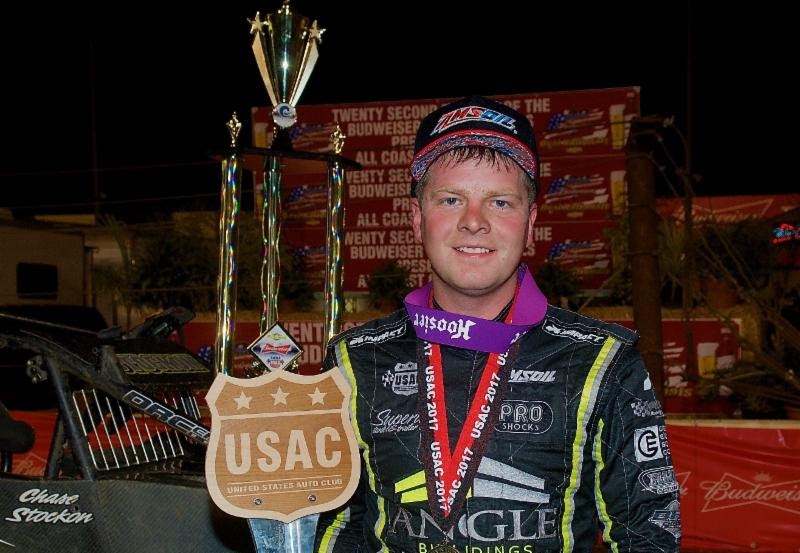 Additionally, he's just the third driver in the history of the series to win his first two USAC National Sprint Car features of the season after the month of November, following in the steps of Damion Gardner in 2005 and Kevin Swindell in 2008. Stockon has achieved success when the series has traveled west in prior years, but had not yet tamed Perris where he has a second-place finish to his credit during an "Ovals" prelim in 2013. That was the same era in which the team has based their recent set-ups on over the past month, and by all accounts, appears to be paying large dividends for Stockon and his 32 TBI Racing/Superior Tank & Trailer - Crescent Electric Supply/DRC/Fisher. "We changed some stuff around in the shock package to get things a little more comfortable for me," Stockon reiterated from his interview following last week's 'Western World' victory. "On our own, with this setup and the rest of the racecar, we went back to four or five years ago and did kind of the same thing with the shock package. We've got something that works really well for us and it seems like we've been trying to hit that all year, but have struggled finding it. I'm trying to stay humble, but we go race-by-race and it can always change tomorrow." With seemingly a new lease on life in racing terms, Stockon secured the lead at the drop of the green from his outside front row starting position and was quickly able to split to a near half-straight lead while C.J. Leary and Brody Roa worked the bottom to slip underneath pole sitter Danny Faria, Jr. on the ensuing two laps to snag second and third, respectively. By the 11th lap, Stockon was Neil Diamondesque as he served as a solitary man, all by his lonesome, at the front of the field possessing a 1.7 second advantage. However, Josh Hodges engine began to billow with smoke as he slowed in turn two to bring out the yellow flag, bringing an end to his night and his "Oval Nationals" weekend in one fell swoop. With the lead now erased, Stockon blasted from the launching pad and quickly constructed a sizable advantage over Leary and Roa yet again. However, soon after the halfway mark, that deficit began to shrink and the tension started to grow as Leary was close enough to duck a nose underneath Stockon in a bid for the lead on lap 19. One lap later, Leary used a picture-perfect run on the high side of turns three and four to glide around Stockon for the race lead. Undeterred, Stockon fought his way back into the frame to rip the spot away from Leary with a turn three slider on lap 21. Stockon's trusted line of high in turns one and two and on the bottom of three and four became a rug tugged away from him as he entered lapped traffic with Leary in tow throughout the final two-thirds of the 30-lapper. With track conditions everchanging, no piece of real estate was off-limits as the pair searched high, low and middle. "It was kind of a tough race for me," Stockon explained. "I could feel myself slowing down in (turns) three and four as the bottom started to wear out. With C.J. behind me, I knew he was going to be charging the top. With lapped cars up there, I started moving around down in three and four. I was still able to get above a few of them before they came out to the wall on the front stretch. For the longest time, I thought the lapped cars were helping me out a little bit in that aspect. Then I kept seeing C.J. 's nose. For the whole race, he kept pressuring me and pressuring me, making me drive a little harder." With three laps remaining, Leary raised the stakes and made his bid for the lead, entering turn one low as Stockon rode high. The two drag-raced side-by-side down the back straight as they followed the lapped car of Austin Liggett into turn three. Stockon lunged ahead entering the third turn while Leary followed him on the cushion. As the two came off four, Leary appeared poised to set up a turn one slider on Stockon. Instead, the caution was displayed for the former CFL quarterback and current Southwest Sprint Car regular Dennis Gile, who slowed to a stop in turn two and bringing an end to his USAC National and CRA Sprint Car debut. "There at the end, at the point of the race I thought lapped traffic was helping me, from what the guys tell me, it was actually kind of hurting me," Stockon revealed. "I think that caution kind of saved us there at the end. It gave us one last chance to have a clean track for three laps and just run it as hard as we could to the finish." And that's exactly what Stockon did as he took advantage of the traffic-less expressway that lie ahead of him and never allowed Leary another chance to retaliate, racing to a one-second victory over Leary, Roa, Kevin Thomas, Jr. and Tyler Courtney. "C.J. and I have always raced hard and clean against each other," Stockon said. "I know there's respect between the two of us. He wants to win just as badly as I do. On that restart, I knew I had to get off four really well and get into one without making a mistake. I feel like I did that and stretched it out on him." C.J. Leary posted a fine second-place performance in his Leary Racing/Leary Construction - Highsmith Guns/DRC/1-Way Chevy. The 2014 360-Sprint Car "Oval Nationals" champion out of Greenfield, Indiana felt that, without that last caution, this night could've belonged to him. "It's tough to come up short there at the end," Leary lamented. "I think that if it would've stayed green, I would've had a better shot to win. Chase was pretty good and we set a really fast pace the entire time. At one point, I finally went to the top in three and four and I got by. I just don't know how he got back by us." Garden Grove, California's Brody Roa was the top of the CRA contingent with a career-best USAC National Sprint finish of third in his BR Performance/HD Industries - Burris Racing/Maxim/Shaver Chevy. "A year and a half ago, I would've been laughing if you told me I was going to be on the podium on any night of the 'Oval Nationals.' I think we're really getting our stuff together and my confidence is up. Everyone on the team is clicking right now and making good decisions." Chris Windom hustled his way from 15th to seventh to earn KSE Racing Products/Saldana Racing Products/Rod End Supply Hard Charger of the Race honors. But, the seventh-place finish was even more personally rewarding as he extended his lead from three to nine over ninth-place finisher Justin Grant with just two races remaining, Friday and Saturday at Perris, until the championship is settled. Contingency award winners Saturday night at Arizona Speedway included Kevin Thomas, Jr. (ProSource/Woodland Auto Display Fast Qualifier), Chad Boespflug (Simpson Race Products/Extreme Mufflers 1st Heat Winner), Chris Windom (Competition Suspension, Inc./Brown & Miller Racing Solutions 2nd Heat Winner and KSE Racing Products/Saldana Racing Products/Rod End Supply Hard Charger), R.J. Johnson (Chalk Stix/Circle Track Performance 3rd Heat Winner), Logan Williams (Indy Race Parts/Keizer Aluminum Wheels 4th Heat Winner), Austin Liggett (Pyrotect Racing Cells 5th Heat Winner) and Jake Swanson (Wilwood Brakes 13th Place Finisher). PROSOURCE/WOODLAND AUTO DISPLAY QUALIFYING: 1. Kevin Thomas, Jr., 9K, KT-16.303; 2. Damion Gardner, 4, Alexander-16.312; 3. Justin Grant, 11, McGhee-16.428; 4. Brody Roa, 91R, BR-16.573; 5. C.J. Leary, 30, Leary-16.576; 6. Thomas Meseraull, 19AZ, Reinbold/Underwood-16.633; 7. Richard Vander Weerd, 10, Vander Weerd-16.659; 8. Josh Hodges, 74x, Hodges-16.673; 9. Robert Ballou, 12, Ballou-16.679; 10. Austin Williams, 2, Jory-16.696; 11. Chase Stockon, 32, 32 TBI-16.715; 12. Danny Faria, Jr., 17GP, Dutcher-16.718; 13. R.J. Johnson, 51, Martin-16.741; 14. Tyler Courtney, 23c, TOPP-16.744; 15. Jake Swanson, 92, Sertich-16.758; 16. Hunter Schuerenberg, 19s, Reinbold/Underwood-16.774; 17. Chris Windom, 5, Baldwin-16.780; 18. Mike Spencer, 4s, Gansen-16.822; 19. Dave Darland, 73, Ford-16.847; 20. Brady Bacon, 63, Dooling/Hayward-16.909; 21. Michael Pickens, 81, Watt-16.973; 22. Max Adams, 5, Adams-16.999; 23. Isaac Chapple, 52, LNR/Chapple-17.044; 24. Cody Williams, 44, Jory-17.047; 25. Austin Liggett, 56, Phulps-17.047; 26. Chad Boespflug, 69, Dynamics-17.066; 27. Tommy Malcolm, 5x, Napier-17.100; 28. Kyle Edwards, 39E, Edwards-17.150; 29. Logan Williams, 5J, Jory-17.169; 30. Dennis Gile, 13, Gile-17.202; 31. Mike Martin, 16, Martin-17.226; 32. Verne Sweeney, 98v, Tracy-17.256; 33. Jace Vander Weerd, 88, Vander Weerd-17.304; 34. Stevie Sussex, 42, Cheney-17.355; 35. Trent Williams, 52v, Williams-17.387; 36. Chris Gansen, 4G, Gansen-17.478; 37. A.J. Bender, 21, Bender-17.499; 38. Jeremy Ellertson, 98, Ellertson-17.550; 39. Ronnie Gardner, 7K, Kruseman-17.551; 40. Randy Waitman, 90, Waitman-17.632; 41. Carson Macedo, 73T, Ford-18.261; 42. Gary Marshall, Jr., 72, Marshall-18.446; 43. Matt McCarthy, 28m, McCarthy-NT. FEATURE LAP LEADERS: Laps 1-19 Stockon, Lap 20 Leary, Laps 21-30 Stockon. NEW USAC AMSOIL SPRINT CAR NATIONAL CHAMPIONSHIP POINTS: 1-Windom-2156, 2-Grant-2147, 3-Thomas-2083; 4-Courtney-2058, 5-Stockon-1951, 6-Boespflug-1880, 7-Leary-1789; 8-Bacon & Ballou-1696, 10-Darland-1457. NEW USAC AMSOIL CRA SPRINT CAR POINTS: 1-D. Gardner-1459, 2-Roa-1345, 3-Swanson-1298, 4-Spencer-1123, 5-A. Williams-983, 6-C. Williams-902, 7-L. Williams-800, 8-Gansen-733, 9-Adams-732, 10-McCarthy-628. DAYTONA BEACH, Fla. — Derek Kraus had a hard-fought battle to earn the 2017 K&N Pro Series West Sunoco Rookie of the Year title. While the rookie had a successful rookie season with Bill McAnally Racing amassing one win, nine top-five and ten top-10 finishes, it seemed like fellow rookie Will Rodgers was always right behind him. The high-note the Stratford, Wisconsin, native is referring to is his first series career victory at the season finale at California’s Kern County Raceway Park. Kraus came close to earning his first NASCAR K&N Pro Series West win multiple times throughout the year, but was denied a trip to Victory Lane by Todd Gilliland, the 2017 K&N Pro Series West champion, and Chris Eggleston. “It was amazing to finally get it done after finishing second or third to our BMR teammates throughout the season. It was the dream way to end my rookie year. The newly minted rookie of the year has plenty of people to credit for his success. “I wouldn’t have accomplished anything close to this without my parents and the entire BMR team,” Kraus said. “I also have to thank Toyota, Carlyle Tools, Marilyn Fanetti and everyone else who has supported me throughout my racing career.”. Daytona, Beach, Fla. (Nov. 7, 2017) – The youngest NASCAR PEAK Mexico Series champion. The youngest driver to win four Trans-Am championships. And the 2016 Wendell Scott Trailblazer Award winner. · Chase Cabre, 20, Tampa, Florida. Cabre finished sixth in the NASCAR K&N Pro Series East championship standings and was runner-up for Sunoco Rookie of the Year. He won the 21 Means 21 Pole Award twice and recorded four top-five finishes. He will return to compete in the NASCAR K&N Pro Series East and will also race a Late Model in the NASCAR Whelen All-American Series. · Ernie Francis Jr., 19, Dania, Florida. Francis has already locked up his fourth Trans Am Series championship, becoming the youngest driver in series history to do so. He has 32 Trans Am Series wins – the most in series history – and 15 Pirelli World Challenge victories. Francis will be a development driver with Rev Racing, running road-course events in the K&N Pro Series East and select Late Model events, as well as testing, as he transitions to oval-track racing. · Rubén García Jr., 21, Mexico City, Mexico. García will return to Rev Racing for his third season. 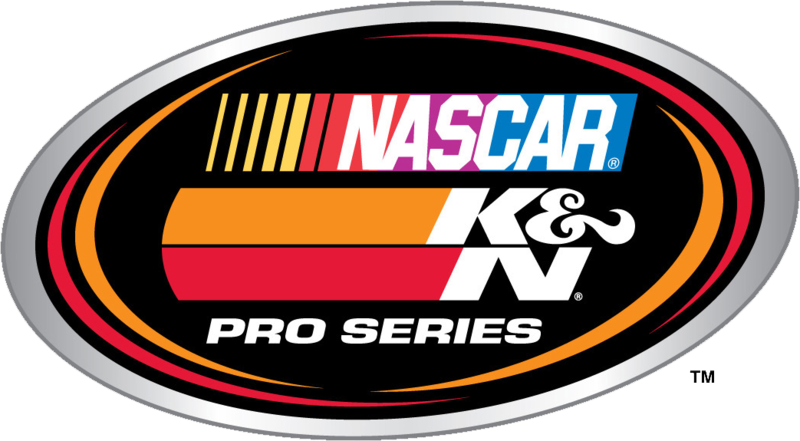 The 2015 NASCAR PEAK Mexico Series champion finished fifth in the NASCAR K&N Pro Series East this year and is third in the PEAK Mexico Series standings with one race remaining. The NASCAR Next graduate will join Cabre in the K&N Pro East in addition to racing in the Late Model. · Nick Sanchez, 16, Homestead, Florida. Sanchez finished fifth in the 10-race Bojangles Summer Shootout at Charlotte Motor Speedway with Rev Racing’s Legends Car program last year, and will move up to the team’s full-time Late Model in 2018. Sanchez had a win among five podium finishes in the Summer Shootout. · Ryan Vargas, 17, La Mirada, California. Vargas won the Wendell Scott Trailblazer Award in 2016 as the highest finishing multicultural or female driver in the NASCAR Whelen All-American Series Division I. He was runner-up for NASCAR Whelen All-American Series Josten’s Rookie of the Year for California in 2016 while racing at Irwindale and Bakersfield’s Kern County Raceway Park and the Bullring at Las Vegas Motor Speedway. This season, he scored a pair of wins this year to finish third in the state standings and 16th in the national standings. Vargas will drive in the third full-time K&N Pro Series East car and also race in the Late Model. · Isabella Robusto, 13, Fort Mill, South Carolina. Robusto will anchor Rev Racing’s Youth Driver Program as she returns to the team to drive in the Legends car. Robusto will be one of four youth development drivers, with the remaining three to be announced at a later date. She was third overall at the Bandolero Winter Nationals and was the South Carolina Legends Young Lions champion in 2016 and was third overall in points in the Bojangles Summer Shootout Series in 2015. Headquartered in Concord, North Carolina, Rev Racing, owned by Max Siegel, operates the NASCAR Drive for Diversity Program, which is the industry’s leading developmental program for ethnic minorities and women drivers and pit crew members. For more information about Rev Racing visit http://revracing.net or follow us on Twitter. BAKERSFIELD, Calif. -- On a night where one Bill McAnally Racing teenager earned his first career win, another earned his second career NASCAR K&N Pro Series West championship. "It feels great," the 17-year-old from Sherrills Ford, North Carolina, said, soaked after a Victory Lane celebration. "All this hard work and dedication these guys put in, and it all comes down to this. To be able to get it done is very special." "I was pretty confident," Gilliland said of his mindset throughout the evening. "With the speed we had and the position we were able to ride in, I thought we were going to have a really good shot at the win. Always a little disappointed in that, but I'm very proud of our effort all season long. To be able to come home the 2017 champion two years in a row is really surreal, and we just have to take it all in." Kraus, Gilliland's teammate, stopped Gilliland from winning his third consecutive race at Kern. The 16-year-old rookie from Stratford, Wisconsin, took the lead with 44 laps to go and didn't look back. Kraus' first career K&N Pro Series West win has been a longtime coming, he earned three runner-up finishes this season and had a win in his grasp multiple throughout the year. Most recently at Idaho's Meridian Speedway, he had the lead on the final overtime restart, but it slipped away. "That Meridian race was actually going through my mind those last 30 laps," Kraus said in Victory Lane next to his No. 19 Carlyle Tools Toyota. "But it's been a really good night with getting Rookie of the Year and getting a race win, my first race win. That's really great for me and my career, and will help boost me into next season." The win allowed Kraus to clinch the Sunoco Rookie of the Year award over Will Rodgers, who he'd been battling with down the stretch. Kraus finishes the 2017 season with nine top fives, 10 top 10s, one pole and one victory. 1. (2) Derek Kraus, Stratford, Wis., Toyota, 150 laps, 68.948 mph. 3. (3) Riley Herbst, Las Vegas, Nev., Toyota, 150. 4. (8) Michael Self, Park City, UT, Ford, 149. 5. (6) Dillon Bassett, Winston-Salem, NC, Toyota, 149. 6. (9) Derek Thorn, Lakeport, CA, Ford, 149. 7. (7) Buddy Shepherd, Bakersfield, CA, Ford, 149. 8. (12) Will Rodgers, Solvang, Calif., Ford, 149. 9. (16) Max Tullman, Chester Springs, PA, Ford, 149. 10. (11) Nicole Behar, Spokane, WA, Toyota, 149. 11. (19) Rod Johnson, Jr., Canyon Country, CA, Ford, 149. 12. (10) Julia Landauer, New York, N.Y., Ford, 148. 13. (17) Todd Souza, Aromas, Calif., Toyota, 148. 14. (24) Stafford Smith, Eagle, Idaho., Ford, 148. 15. (20) Davey Hamilton, Boise, ID, Ford, 148. 16. (22) Jesse Iwuji, Carrolton, Texas, Chevrolet, 148. 17. (21) Takuma Koga, Nagoya, Japan, Chevrolet, 148. 18. (23) Kody Vanderwal, LaSalle, Colo, Ford, 148. 19. (15) Blaine Perkins, Bakersfield, Calif., Chevrolet, 148. 20. (5) Chris Eggleston, Erie, Colo., Toyota, 147. 21. (26) Bill Kann, Scottsdale, Ariz., Chevrolet, 147. 22. (25) Jerry DeWeert, Aartselaar, Belgiuim, Ford, 129. 23. (4) Ronnie Bassett, Jr, Winston-Salem, N.C., Toyota, 110, brakes. 24. (14) Ron Norman, Tucson, Ariz., Chevrolet, 103. 25. (18) Matt Levin, Tucson, Ariz., Chevrolet, 73, electrical. 26. (13) Trevor Cristiani, Boise, Idaho, Chevrolet, 33, engine. 27. (27) Jonas Fors, Stockholm, Sweden, Toyota, 1, vibration. Lap Leaders: T. Gilliland 1-2; D. Kraus 3-5; D. Bassett 6-23; C. Eggleston 24-59; D. Bassett 60-105; D. Kraus 106-150. Standings: 1. T. Gilliland, 610; 2. C. Eggleston, 581; 3. D. Kraus, 533; 4. M. Self, 522; 5. W. Rodgers, 520; 6. T. Souza, 468; 7. J. Landauer, 451; 8. N. Behar, 444; 9. K. Vanderwal, 440; 10. B. Perkins, 436.